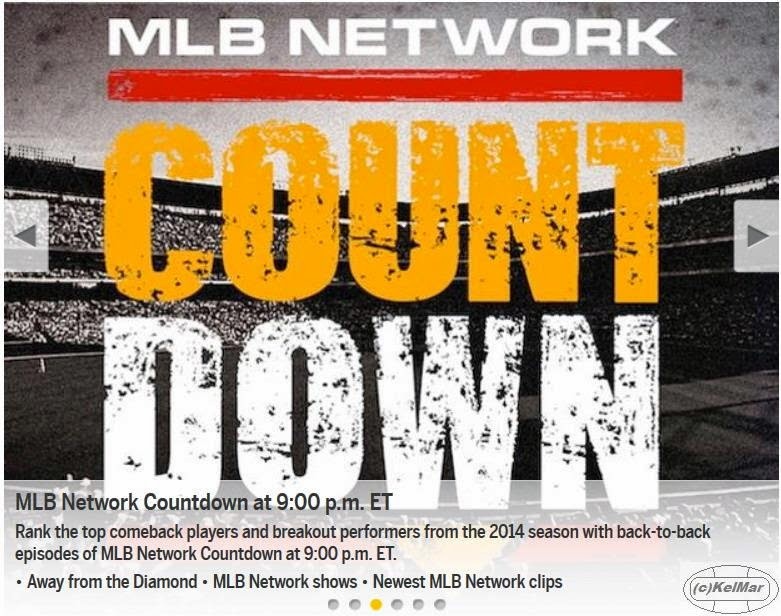 tonight, on January 18 at 10 pm, MLB Network aired a show entitled "Top Breakout Performers Of 2014." knowing how close Michael Brantley was to winning the Breakout Player of the Year GIBBY Award, i figured he would be pretty high on this Top 40 countdown. sure enough, Michael was named the 3rd Top Breakout Performer of 2014. the show highlighted Michael's [first career] walk-off home run against Al Alburquerque of the Detroit Tigers on May 19 in the bottom of the 10th inning with the game tied at 4, 2 outs, and no one on base as his breakout moment of 2014. all the details about that can be found here. so congratulations to Michael for finishing in the top 3 of this countdown!